Today I visited Mt. 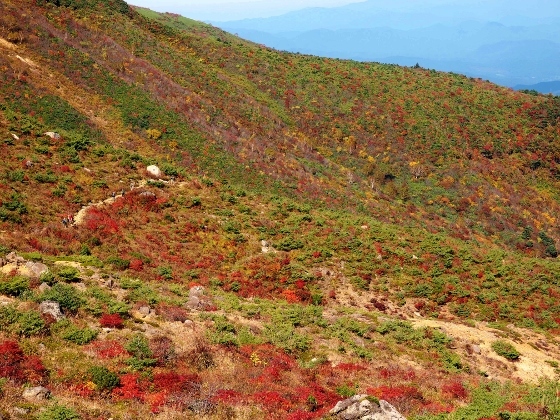 Adatara (1700m) to enjoy colorful autumn leaves. 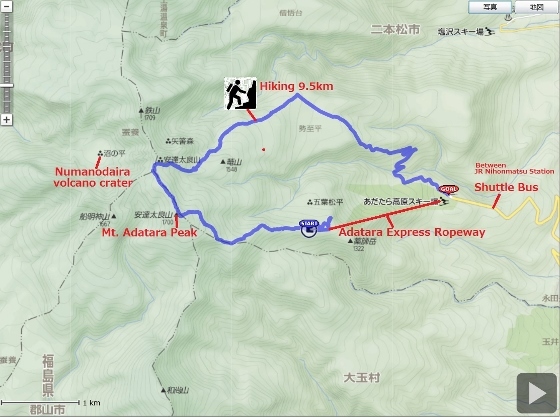 The route was that at first I went to JR Nihonmatsu Station and then took a shuttle bus to Okudake and then took Adatara Express ropeway up to the height of 1350m. 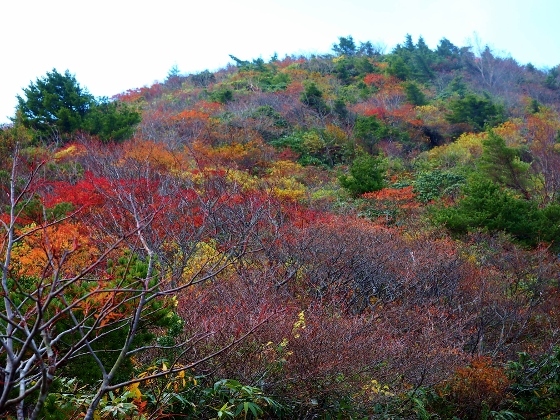 After that I climbed up to the peak of Mt. 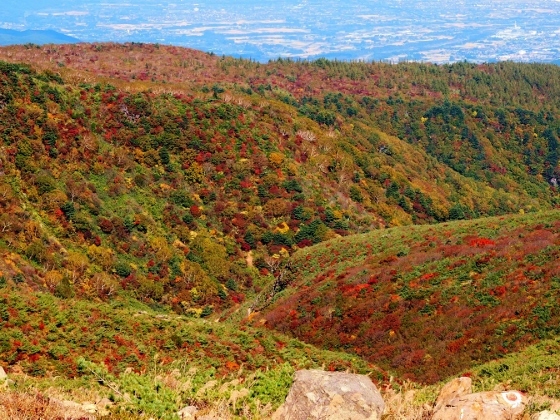 Adatara followed by climbing all the way down to Okudake in the afternoon. 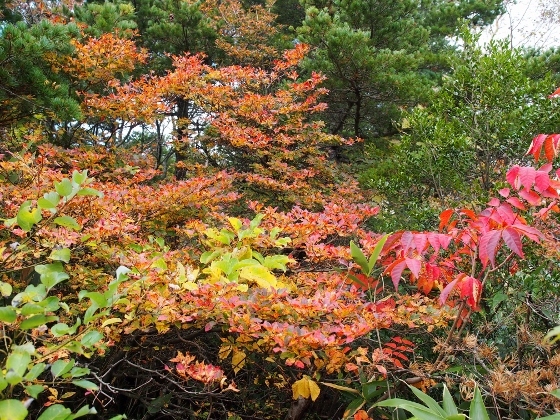 As soon as I started to walk from the terminal of Adatara Express ropeway I found beautiful autumn leaves along the path as shown above. 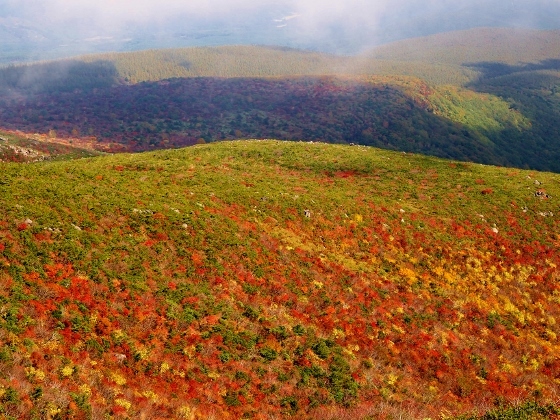 Above photo shows the colors of autumn leaves spreading on the slope of the mountain near the peak. 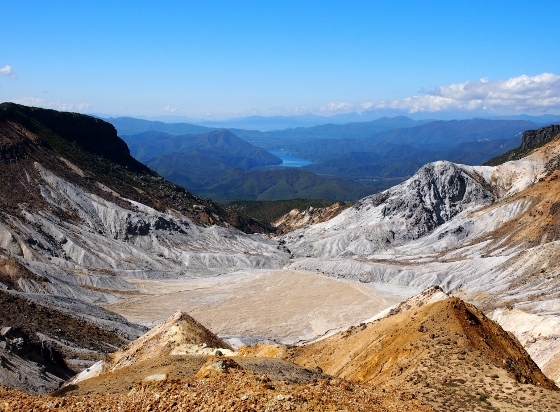 As I walked north for a while, there appeared a giant volcano crater called Numanodaira as shown above. 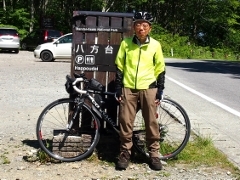 Thanks to the clear sky I could see Lake Akimoto of Urabandai area far ahead. 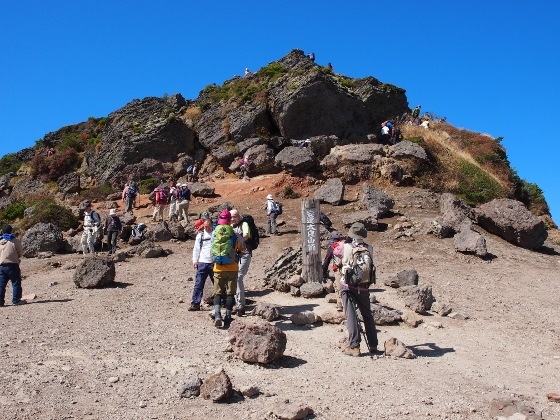 The latest report about the volcanic activity by the Meteorological Agency said there is none or little gas and seismic activity recently.